Is it ever ok to take justice into your own hands? If so, under what circumstances? This is the question I ask myself this morning. My partner's bike was stolen last night, right off our back porch. She was so happy when she bought the bike a few weeks ago. She was looking forward to riding it as part of a effort to get back in shape. She rode it several times a week since she got it. We even got a bike trailer so the little ones could ride with her. She was so devastated. We don't have the money to replace it. We know we live in a bad part of town. That's why we locked it to our porch. They cut through the chain and stole it anyway. We have reported it stolen to the police. If it turns up they'll return it to us, but it's not like they are going to comb the ghetto to find it. 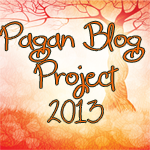 If you came here from the Pagan Blog Project you probably believe in magic and curses. Would you curse the people who did this? It might be more effective to do a spell aimed at getting the bike back.